Tacky, much? Wowza! In a suburb just outside of town, there is this dude in a subdivision who goes outrageously overboard with Xmas lights each year. Puff found an article about him in the paper and we've had to go for the past few years. Each year it gets better. He's gradually overtaking other people's yards and adding new things. He even has Smurf lights! How cool is that?!?! But really, wouldn't you just hate to be his neighbor???? 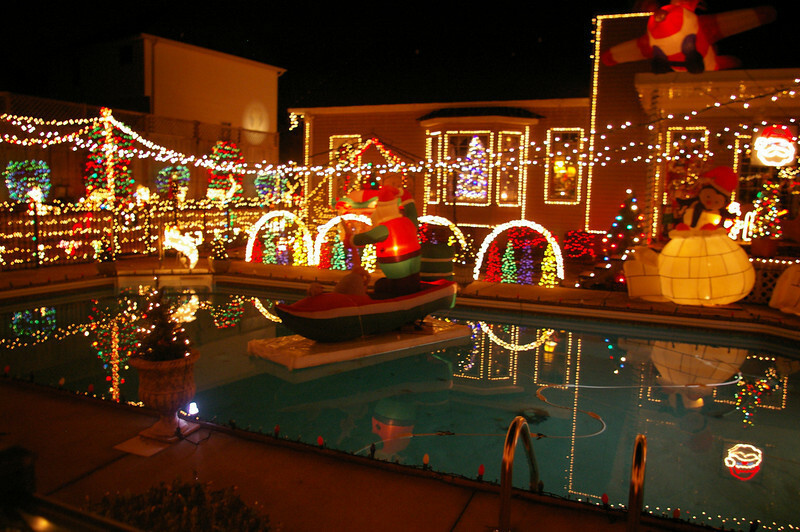 I'd hate to think about the electricity bill. Eeek! But the smurf lights ROCK!